NUR-SULTAN – Two people were killed and 27 were injured March 26 when three metropolitan buses, two passenger cars and an ambulance collided at the intersection of Kabanbai Batyr Avenue with Uly Dala Street in the capital. “I was driving in my car in the middle of the lane. At about 9.30 a.m., we were driving toward the city from Nazarbayev University. We stopped at the red light. At that time, on my right, there was such a strong blow, loud. As soon as we got out of the car, we saw that the bus crashed at speed. There are many victims,” said witness Bakhytzhan Sarsenov. According to police, the bus of suburban route No. 303 ran a red light and collided with bus No. 12. Bus No. 53 and an ambulance were also involved in the crash. The driver of bus No. 303 had been a driver for more than eight years and was killed instantly. “During this time his performance has been very good. He was calm. He did not get into accidents at all, had no complaints and [there was] no complaints about [his job performance],” said Astana Light Rail Transit (LRT) Spokesperson Nauat Azanbayeva. A 26-year-old woman was also killed. Of the 27 people injured, authorities believe half of them suffered serious injuries. In the first minutes, all the drivers got out of the cars and began to help the victims, said witness Sarsenov. “The ambulance quickly arrived. [They] arrived in four minutes, took away all the victims. For which, [I] thank them very much,” Sarsenov added. Twenty-two ambulance teams took 25 injured people to the city’s multi-purpose hospital No. 2. Three of the injured remained in intensive care at press time. Nur-Sultan Akim (Mayor) Bakhyt Sultanov has also arrived at the scene and “personally instructed personnel to immediately provide first aid, inform all relatives, begin to help the families of the victims, to provide psychological assistance. All the necessary assistance from the akimat (city administration) will be provided,” said Akim’s (City Mayor’s) press secretary Elvira Zhurgenbayeva. The city police initiated a pre-trial investigation under article 345 of the Kazakh Criminal Code “Violation of traffic rules, resulting in the death of two or more persons.” The police investigation identified that the car crash occurred because of the bus No. 303 that did not stop for the red light. The police are also conducting technical and forensic examinations, said the Nur-Sultan Police Department’s press service. The buses pass the pre-trip check every morning, “therefore, now it is too early to say something about the condition of the buses. [We are] waiting for the examination and waiting for the results of the investigation,” said Zhurgenbayeva. ASTANA – Kazakh nonprofit Invataxi coordinates the transportation of approximately 3,000 people with disabilities in Astana annually, including more than 1,000 children, reports the city akimat (administration) press service. Invataxi acts as a dispatcher to coordinate free transportation for people with disabilities in coordination with other nonprofits. The vehicles are provided by those nonprofits and range from wheelchair accessible cars to modified vans and minibuses with ramps, lifts and hoists. Citywide, Invataxi is able to coordinate the use of five vehicles for wheelchair users, seven vehicles for people with visual impairments and 11 vehicles for children with disabilities. Among the organisations whose vehicles Invataxi helps coordinate to provide transportation are the Confederation of People with Disabilities, Meyirim and Kazakh Society for the Blind. Drivers are often trained to assist people with disabilities using their services. More than 670,000 people in Kazakhstan are registered as having a disability. Invataxi began operating in 2009 when the Saby Charity Foundation purchased 14 vehicles for Almaty’s Society of People with Disabilities. Invataxi began receiving governmental support in 2011 and now coordinates the use of more than 183 vehicles in 20 cities in the country. To use Invataxi services, individuals must make a request to the company’s call centre between 9 a.m. and 6 p.m. and at least a day before commuting so dispatchers may map out routes for efficiency and maximise the amount of accepted requests for rides. Passengers with disabilities must also provide an application form, national identification card copy, disability certificate, No. 035/U certificate and an individual rehabilitation programme document to their local employment and social services centre so that their details may be entered into the taxi service database. Invataxi coordinates rides between 9 a.m. and 6 p.m. on weekdays. The organisation will arrange to pick up individuals and appointed time for transfer to their destination. ASTANA – Baikonur district Akim (Mayor) Yerlan Kanalimov, Astana Urban Centre and Astana Innovations recently kicked off the second stage of the City on Request project, reports the capital’s akimat (city administration). The project promotes dialogue among citizens as a tool to improve Astana’s urban environment. The first stage of the project involved the distribution of the survey to gather residents’ concerns and suggestions. Classes in community dialogue were also offered Nov. 9-11 at Astana Urban Centre’s School for Moderators. The free training event centred on the skill of moderating and facilitating dialogue in a fair and impartial way so that participants understand each other’s position and work toward a joint solution. 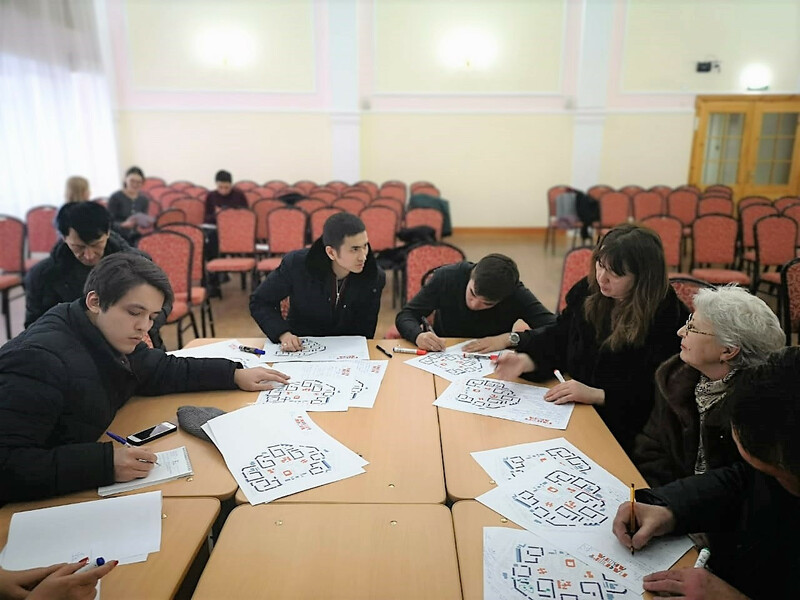 The second stage involved a Jan. 19-20 project seminar for more than 60 residents guided by urbanism expert Svyatoslav Murunov. Discussion centred on identifying challenges faced in the city and areas for improvement. Residents, moderators and akimat representatives then formed project working groups. Group leaders and their teams were assigned a given courtyard in the city which they could explore and find residents to engage in their projects. Their group output will be a courtyard “passport” detailing the space, its users and their preferred social activities. Working groups and urbanism experts will design projects for courtyards based on these characterisations and launch these projects in the format of city workshops this spring. Astana Urban Centre was established as part of the research and design institute Astanagenplan in September 2016 on the initiative of the then Astana Akim Asset Issekeshev to comprehensively and systematically transform the capital’s urban environment with tools borrowed from urban, sociological and anthropological disciplines. The centre carries out original data collection and research, as well as projects, forums, workshops and round tables. Its objectives are to involve residents in city planning and development, develop new urban planning approaches, collect, produce and disseminate knowledge on the city, develop and improve public spaces, engage experts, promote urban community development and create efficient and flexible platforms for dialogue on city development. 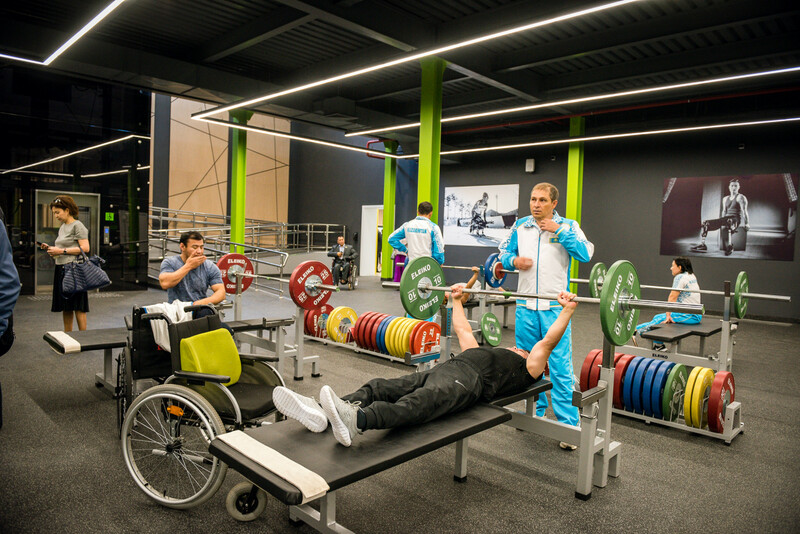 ASTANA – The capital’s Paralympic Training Centre began Jan. 1 to allow free access to its facilities for people with disabilities, reports the city akimat (administration) press service. The programme “1000 places – street trade” has facilitated small and medium-sized business development and streamlined street trading in the capital since 2016. To participate, entrepreneurs may submit a land plot application and, upon permission, rent small plots of land for 20,000 tenge (US$53.96) per square metre annually for a period of seven years. Now, these businesses will additionally be assigned QR codes. QR codes are readable by machines, usually storing information accessible by a smartphone camera scan. These codes will allow any inspector, police officer or city resident to view and verify Astana street traders’ information, such as their legal entity name, lease agreement number and land plot location and purpose, using a smartphone or tablet. A special near-field communication tag will prevent fraudulent QR codes, and code violations may be reported to Social Entrepreneurship Corporation Astana through the mobile application Smart Astana. This initiative is a step toward the capital’s effort to enter the world’s top 50 smart communities, a task set by Kazakh President Nursultan Nazarbayev in 2013. Additional city initiatives include the Smart Astana project, which incorporates technology-driven solutions at schools, hospitals and street lighting. Astana residents and guests have been using its mobile application for everything from making a doctor’s appointment to ordering a taxi since 2016. Here, smart technology use will prevent illegal street trading in the capital. “The absence of a QR code at a facility means that the trade facility has not been installed as part of our programme. That is, it was either installed illegally or on private property,” explained a Social Entrepreneurship Corporation Astana representative, reports the Astana Akimat (city administration) press service. Social Entrepreneurship Corporation Astana, “not being a state body, regularly informs the authorised state bodies on illegal street trading as part of its land plot monitoring,” noted the company’s representative. Concrete measures on trading activity are conducted exclusively by authorised state bodies, including the city akimat and department of urban environment control and quality. ASTANA – City officials will begin the two-year construction in 2019 of an automobile bridge across the Yessil River to reduce traffic between the city’s left and right banks. The bridge will be located along Tauelsizdik Avenue on the section from the right bank’s No. 46 Street to the left bank’s No. 27 Street. The bridge is expected to reduce traffic 20 percent on Mangilik Yel. The number of vehicles on Orynbor Street is expected to decrease from 25,000 to 20,500 cars per day and from 34,000 to 29,000 per day along Turan Avenue, in the area from Uly Dala Avenue to Orynbor Street, announced the city Transport Management and Roads Infrastructure Development Department. The bridge will include six lanes and pedestrian zones on both sides. The central element of the bridge will be a forked pylon that is a 75 metres high tower, which has 14 pairs of metal cables. Bridge will also be lit up at night to create the illusion of flight. “A bifurcated pylon, tapering towards the top and connected at the base, adds lightness and elegance to the design and simultaneously compensates dynamic loads. Symbolically located on the Yessil River’s right bank, the pylon represents the historical development of the city towards the left bank,” according to the department. Along with the new bridge, two more automobile bridges are being built and expected to be completed in 2019. The first bridge, which passes over Yessil River, is located at the intersection of the No. 27 Street with the Yessil riverbed. The second passes over the Nura-Yessil water canal and is located at the intersection of No. 27 Street with the canal’s riverbed. The road on both bridges will be eight lanes. Astana has 17 bridges, seven of which are located in the centre of the city. 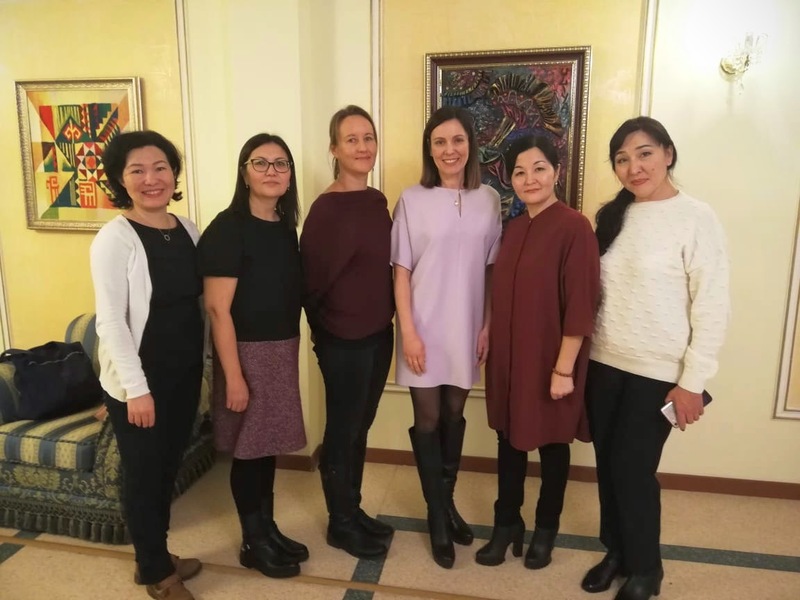 ASTANA – The Ambassadors Spouses Association (ASA) recently distributed the 2018 Christmas Charity Bazaar’s fund among 40 charity organisations, several individuals and bought equipment for a clinic in Almaty. The fund collected $102,636 this year. The ASA made agreements with most of the beneficiaries. Out of 70 applications, 40 were chosen to receive funding. “Today we are making agreements with the organisations and people that we have decided to help until now. Then we will continue our work in January again. The number of beneficiaries is close to 40, but we will have some more,” said Charity Committee Chair and the Finnish Ambassador’s spouse Maria Kivikoski. “When we started to select the projects to support, we started from basic needs, such as food, clothes and basic household appliances. We made it our first priority helping low-income families. Then (funds are also directed to providing) special equipment for children with disabilities, such as rehabilitation bicycles,” added Kivikoski. The beneficiaries of the funds are non-governmental charity organisations that are helping people with illnesses and physical and mental disabilities. For the Spina Bifida Public Association, the ASA is going to purchase articulated links for the exoskeleton that helps people to verticalise and walk. “We have children with disorders of the human musculoskeletal system. And we appealed to the association to fund the purchase of articulated links for an apparatus that gives children the opportunity to verticalise and walk. It’s like an exoskeleton, but not a robotic plastic version. It is not produced in Kazakhstan. We want to make three of them with the association’s support and promote its production in the country. Our medical specialists can do this, but spare parts are very expensive. Parents who purchase this apparatus in Russia usually spend about 700,000 tenge to one million tenge (US$1,890 -$2,700),” said Spina Bifida Public Association President Arailym Kumarzhanova. For the ORDA Public Association of the Parents of the Children with Autism, the ASA helps to equip the rehabilitation centre’s space for $1,890.67. “We are engaged in the rehabilitation of children with autism and children with neuropsychiatric disorders such as Down syndrome, children with hearing and visual impairments. We have a centre for the rehabilitation for more than 200 children. We receive funding from the ASA the second year to equip our centre. This year we expanded our office. Therefore, we need to buy sports equipment, furniture, developing equipment,” said ORDA Public Association Representative Saltanat Yesmaganbetova. According to Yesmaganbetova, 85 percent of their children have improvement and start to speak and adapt to society. The other beneficiary, Karabekov Public Fund gets funding for production of special pants for newborn babies for the treatment of hip joints for $1,350. “Our fund helps low-income, large families and families with children with disabilities to get to the reception of a paediatric orthopaedist. The reception might be expensive. The orthopaedist helps to diagnose the issue in a timely manner, so that the children receive ultrasound diagnostics and timely treatment of the hip joints,” said Astana Medical University Professor and Karabekov Public Fund founder Roza Karabekova. She invented knitted pants for newborn babies that they can wear from 2 days age for the hip joints treatment. The Mama Pro Public Fund received $1,053 for furniture and quartz for rooms sterilisation. “We teach moms business and computer literacy. Our office is like co-working space. While moms are studying, children play in the children’s room. Recently, we had a presentation, and we invited ambassadors’ wives and showed them our office and how we work. They met our mothers. The ASA sponsored children’s room furniture and quartz. We got 390,000 tenge (US$1,053) and we are very happy that we got attention, because there are many applications,” said Mama Pro Public Fund president Gulsum Semenova. According to the ASA partner in the organisation of the bazaar and information support, Chair of the National Council of Women Khanzada Baltayeva, the ASA also sponsors individuals and hospitals to buy special equipment for diagnostics and treatment. “This year, the ASA bought equipment for Children’s Department of Oncology Centre in Almaty. These are the chairs on which children receive chemotherapy, hemodialysis. Also, the ASA helped to buy an enhanced comfort wheelchair for a young man who lost his legs at 13 years. Now he is 20,” she said. The process of choosing beneficiaries is not easy, said Baltayeva. Every year the ASA gets many applications from different organisations and individuals. In her opinion, the local partner organisations’ duty is also to give diverse informational support to indicate most important spheres for funding. “We chose clinics that work with seriously ill people where the clinic’s budget is not sufficient. We have a good experience of working with the National Children Rehabilitation Centre in Astana, which annually helps to,200 children across Kazakhstan that include medical, psychological help, swimming, work therapy, development of social skills for adaptation in society,” she said. The organisations listed are open and encourage people to communicate and ask for help from them. ASTANA – According to the Astana Akimat (city administration), a new one-way traffic will be operating from Nov. 15 on two streets in Astana’s right bank. The first section is from Zhenis Avenue to Mambetov Street on Bukharbai Batyr Street. The second is from Kenessary Avenue to Bukharbai Batyr Street on the Zheltoksan Street. These changes are part of the work planned to optimise traffic and reduce the load on the road network. The introduction of one-way traffic in the designated areas will ensure the continuous movement of traffic flow and reduce the number of traffic accidents due to the reduction of conflict points with oncoming traffic. At these sites, traffic accidents involving oncoming cars were frequent. Bukharbai Batyr and Zheltoksan streets are narrow with two lanes that have low traffic capacity. It is expected that the new measures will increase the traffic capacity of the streets. Zheltoksan Street’s major part from Moscow Street to Kenessary Avenue is already a one-way road. Kenessary Street’s section from Republic Avenue to Saryarka Street is also a one-way street. Implementation of the new one-way sections of the streets, including above-mentioned sections will make a web of roads with one-way traffic that can improve the traffic flow for 30 percent on average. The area is considered the old centre of the city’s right bank with developed infrastructure, including municipal buildings, shops, restaurants and cafes. State Academic Philharmonic of Astana, School Gymnasium No. 1, the Central Park, Sine Tempore shopping mall and city square where crowds attend events are in the area. The implementation of the new one-way traffic can reduce the load of traffic during rush hours and make the area safer for pedestrians and drivers. The changes were discussed on an Oct. 27 public hearing where residents of the area could share their comments and give recommendations on the issue. Representatives of Astana Transport and Road and Transport Infrastructure Development Department, Saryarka District Akimat, Astana Internal Affairs Department’s Administrative Police Directorate and Astana LRT answered questions from residents. ASTANA – Maxvidl, which manufactures industrial fibreglass items, has begun making street light stanchions. The company, which outfitted its capital plant with up-to-date equipment, will be investing more than 1 billion tenge (US$2.7 million) in production. “Our company’s products have several advantages in comparison with iron and reinforced concrete street lighting stanchions. They are durable, time-proof and non-corrosive. They are lightweight, which gives savings in transportation and installation, and are resistant to chemicals,” said director Askhat Rakhimov. Production capacity is more than 10,000 street light stanchions per year, according to the city akimat (administration) press service. Incorporating European technology, the plant makes them using the winding method, which helps achieve high quality. The unique nature of the equipment also lies in its versatility. It can be used not only to produce urban lighting stanchions, but also massive foundations for electricity lines and any fibreglass products with a rounded shape and diameter up to 1,200 mm, such as pipes and tanks widely used in various industries, from housing and utilities to oil and gas. “The investments of Maxvidl in Astana became a thoughtful and long-term step aimed at developing the company’s business, thanks to the preferences provided by the city administration and a state grant. We are negotiating with Kazakhstan’s road-building companies, housing and public utilities departments in the city administration, with companies working in engineering utility networks and sewage systems. We are negotiating with large construction companies in Russia as well,” said Rakhimov. The fibreglass stanchions will replace the current galvanised and concrete poles. The work is the result a joint project between Maxvidl and Mashspetsstroi, a Russian developer and manufacturer. Yerlan Bekmurzayev, deputy director of the capital’s Department for Investment and Entrepreneurship Development, highlighted the cost-effectiveness and innovation of the operation. “A unique production is opening in our city – a plant for the production of lighting stanchions made of composite materials. We haven’t had such a plant in Kazakhstan before. About 10,000 stanchions will be produced at the plant per year. The company’s management plans to further export to foreign markets,” he said. The plant provides jobs for 40, with plans to expand. The city administration is supporting Maxvidl with a free land plot in its free economic zone.